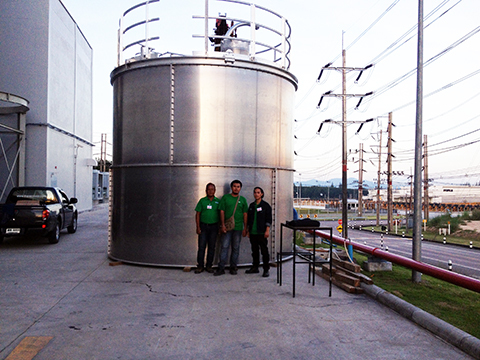 Silo : Aluminium Silos - Thailand | Therec Engineering & Consulting Co.,Ltd. WELCOME TO TRC GROUP OF COMPANY E-MAIL : SALES-TRE@THERECCORP.COM, Tel : +662 893 9003-4, +662 893 9177, +662 893 9179, +662 895 1575, +662 895 0929 ... THE PNEUMATIC CONVEYING SYSTEM DESIGNER | THE HIGH PRESSURE BLOWER SPERCIALIST. 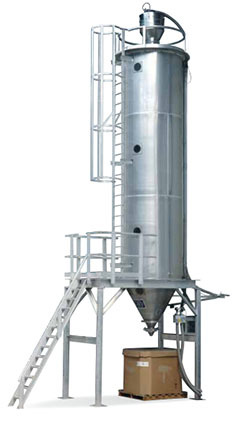 Aluminium Silos : J&D aluminium silos with sizes up to 6,750 cu.m. are used in numerous polymer plants around the world. 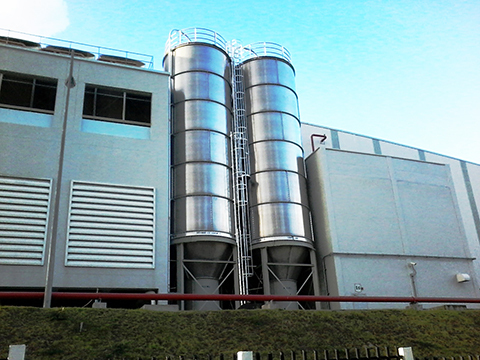 Our engineerings custom design the silos to your specifications. Aluminium silo 200 m3, Plastic film factory raw material storage silo.